The General Electric Plant in West Burlington is expanding, with a new product line. It means 128 more jobs at the plant. 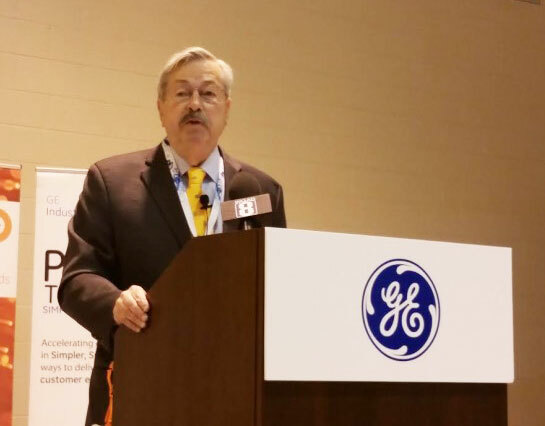 GE officials and Governor Terry Branstad made the announcement in front of hundreds of current plant employees. The State of Iowa, along with Des Moines County and the cities of West Burlington and Burlington are pitching in around $1 million worth of incentives to GE for the $7.4 billion expansion. The money is contingent on GE creating at least 120 jobs. The new product coming to the facility is a state of the art, medium-voltage switchgear box. Thompson said GE plans to partner with Southeastern Community College in an attempt to get local workers trained to create the new products. Burlington’s GE plant was competing against three other GE plants for the project.